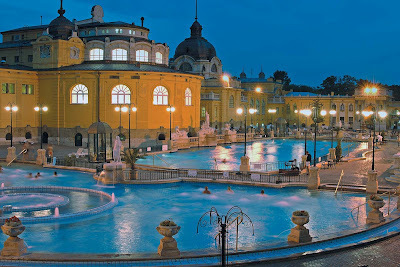 And the final place I'm traveling to is.... Budapest! Super random, I know. Alex and I were thinking of where we could go that was somewhere we would never get back to. Unless either of us becomes an international journalist who gets paid to travel the world, which is highly unlikely from where we stand right now. But you never know. Anyway, we leave Thursday night for a romantic girls weekend in, from what I've heard, a pretty relaxing city. Isn't it pretty?? 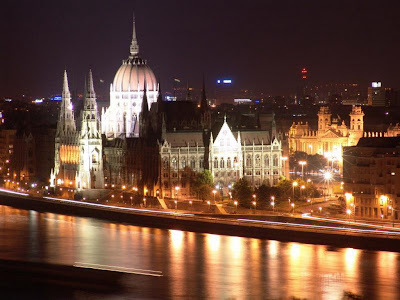 Budapest is also home to the largest synagogue in Europe and the fifth largest in the world, the Dohány Street Synagogue. Even more importantly, it's known for its baths and spas. 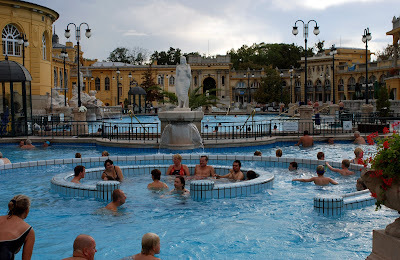 The city has tons of natural water sources and hot springs, and way back when the Turks built these huge communal baths, and I guess the Budapestians liked them so much that they built hotels and spas and huge parks around them. So that's where I'm jetting off to this weekend! It'll be the last plane ride I take before the flight home, which is, exactly, three weeks from tomorrow. I'm not counting down, I swear. Just keeping mental track.